sure some customer expressed that they wanted t shirts - hence the size just in case we decided to throw one in the box. The size only works in the drop down menu. When clicking on the size boxes at the bottom it only adds size Small to the order. I see okay so probably out of stock now on the other sizes. It doesn't matter what size you add using the boxes. It always adds size small to the order. I noticed it last night when I was ordering, so I just left a note with my order. After I ordered, I figured out if I were to use the drop down menu it would add the correct size. oh ok. I just found it odd I can add the other sizes to cart using the drop down menu, but not the other. actually just saw that sent it to the webmaster. Box 1: I'm super excited to try these, but I'm running out of cars to test on. Box 3: I thought the box was a bit excessive, but I suppose it wouldn't be a mystery box if it wasn't in one. I ended up getting the right size shirt and a free upgrade up to 1L bottle of nanolex wheel cleaner and iron remover when I ordered a 500mL bottle. I was having issues with the 1L size being removed from my cart every time I checked out, so I left a note with my order. 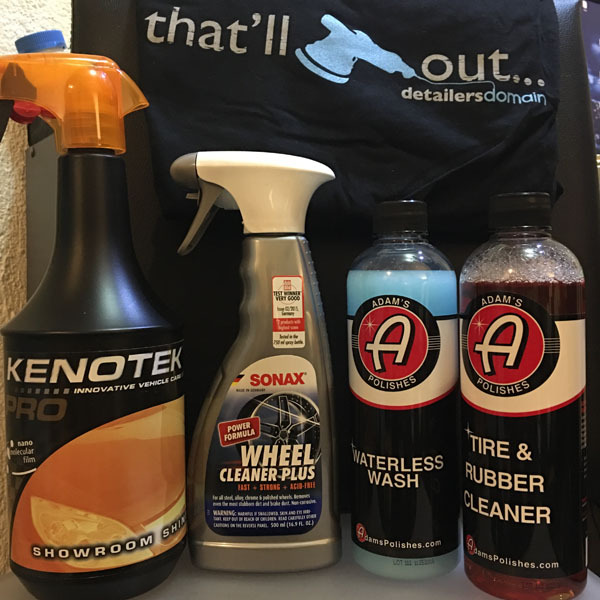 Thanks to everyone at the detailersdomain team for the outstanding service! First off, I apologize for not posting these up upon arrival. Second, I want to thank Phil and his team for the great gifts in the multiple "Mystery Box" shipments I have ordered and received. Wow nice! 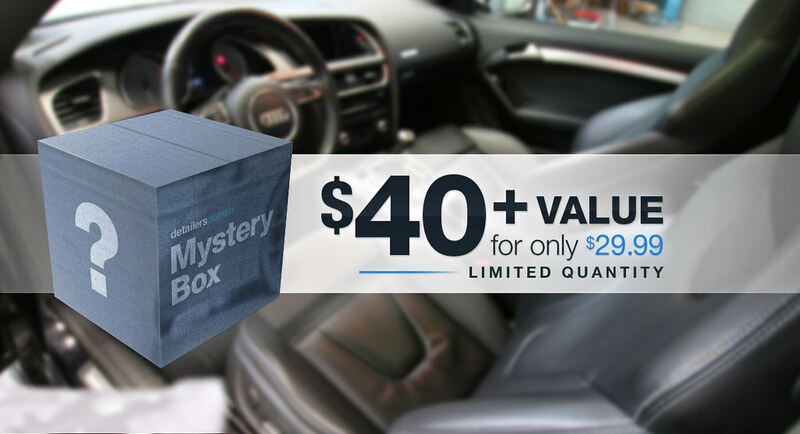 How many mystery boxes is that? Saw that the mystery box is back again so had to order 1. Yes the first Mystery Box of 2017 is up and going quickly. FedEx came early today and dropped off my first mystery box. Not going to lie, after seeing what others have posted I was a bit disappointed, but what I did receive will go to good use. Thanks Detailers Domain as this is still very much a value IMO! I believe you will love the Pure Shampoo and the towels are some of our best ones. Thanks guys for giving it a go.